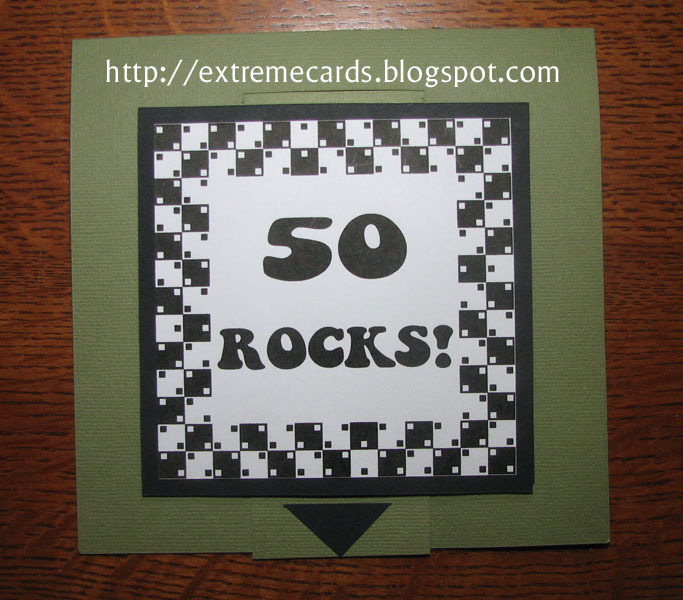 50 Rocks, and inside, fifty rocks. 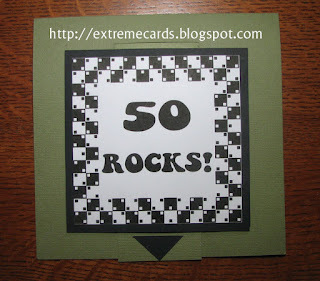 (Go ahead, count them!) A 50th birthday card for a geologist. 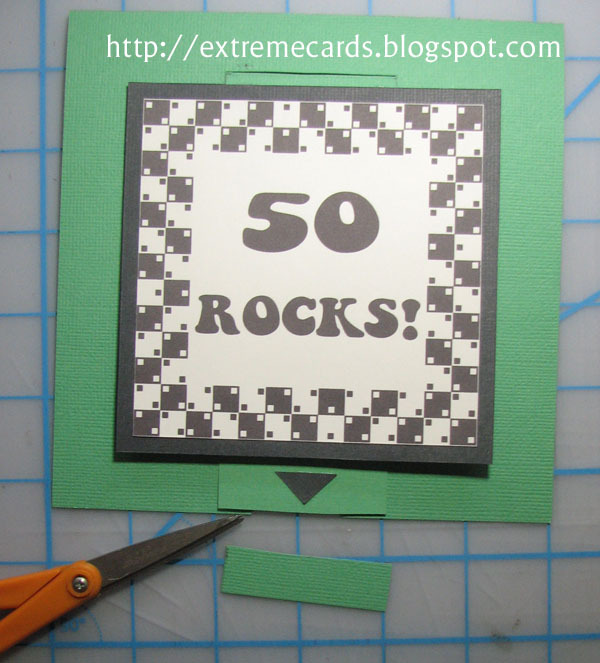 Cut the base card and pull tab from a 12" x 12" piece of heavy card stock. 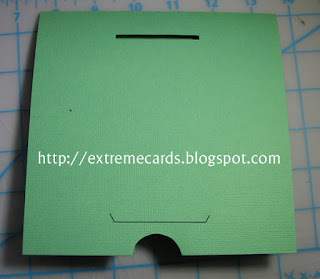 Recommended, but not required: to have the strongest pull tab possible, determine the grain of the card stock and turn the card stock so the grain is running in the vertical direction. 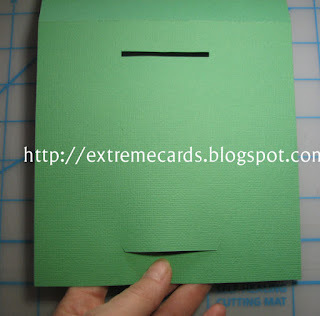 Cut the card stock in half, vertically. 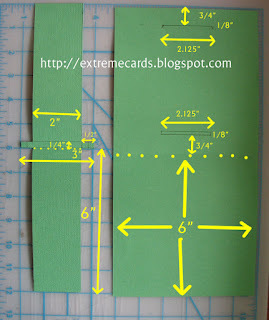 From one half, cut the pull tab using the measurements shown in the picture. 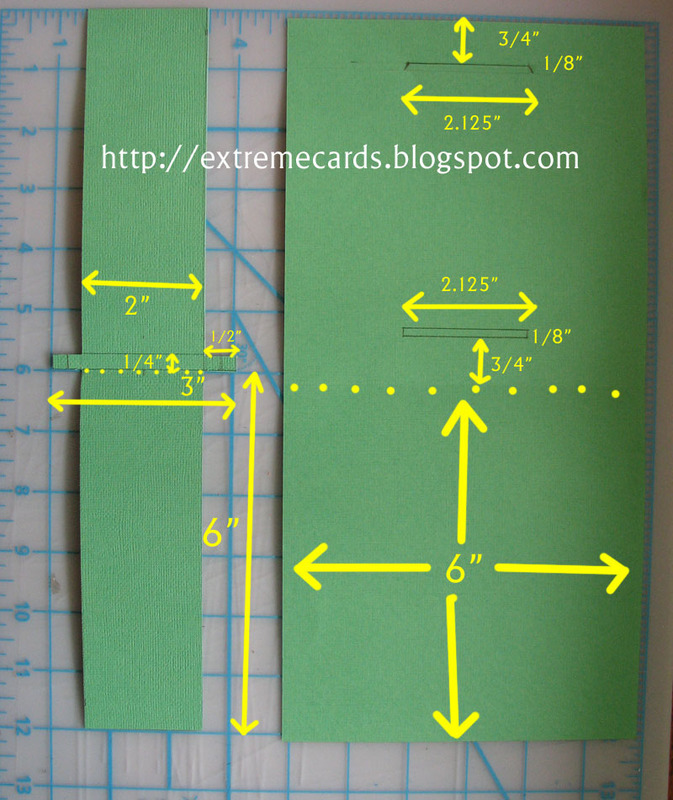 The other entire half is used for the base card, constructed using the measurements shown. 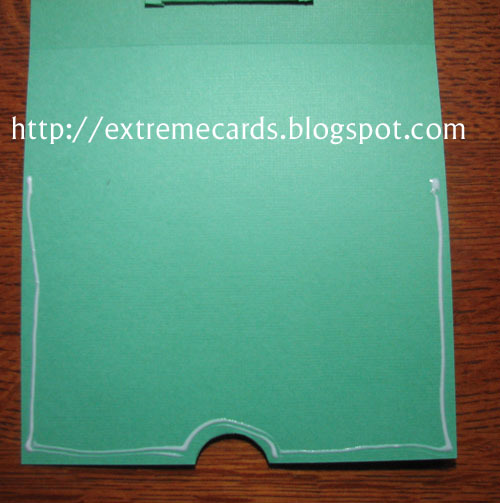 Or download PDF template. Crease the pull tab and the base card, where shown, on dotted lines. Cut the slots on the base card. 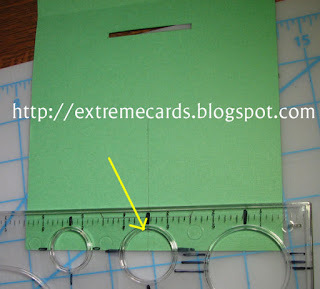 Fold in and glue the little side tabs on the pull tab. 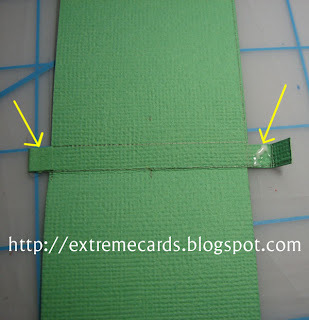 Fold the base card in half and cut a finger notch in both layers. 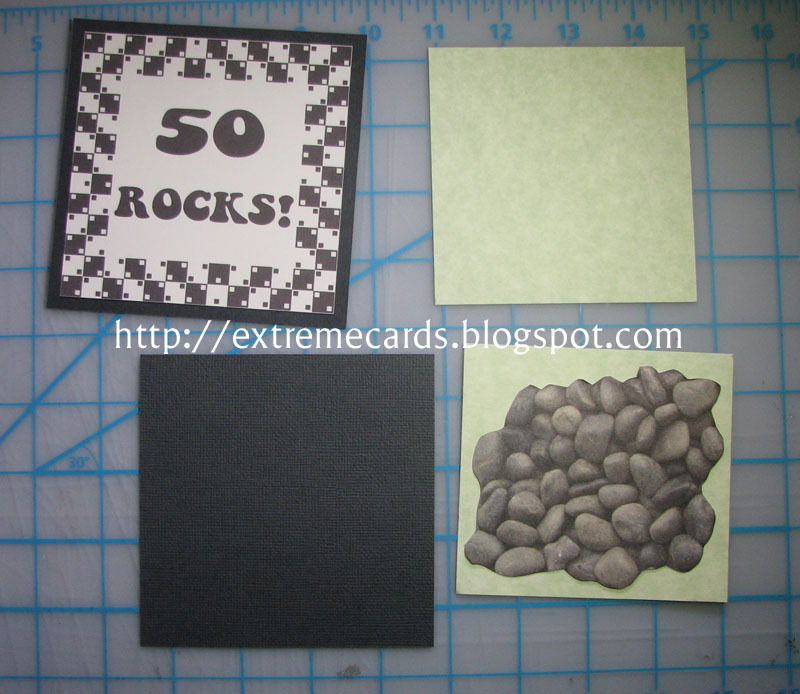 I used the circle from my Perfect Square (also from Perfect Layers). 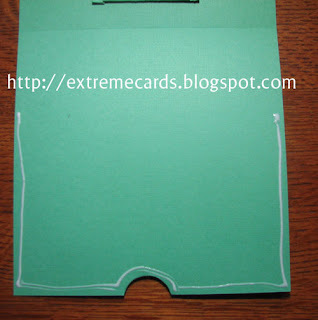 You can use a circle punch or a compass or whatever you have. Thread the pull tab through the base card, on the inside of the card, as shown below. VERY IMPORTANT!!! 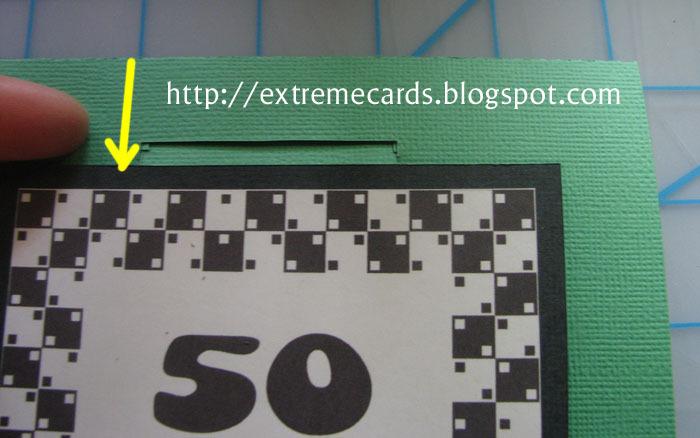 The little tabs and the crease of the pull tab should be on the inside (wrong side) of the base card. 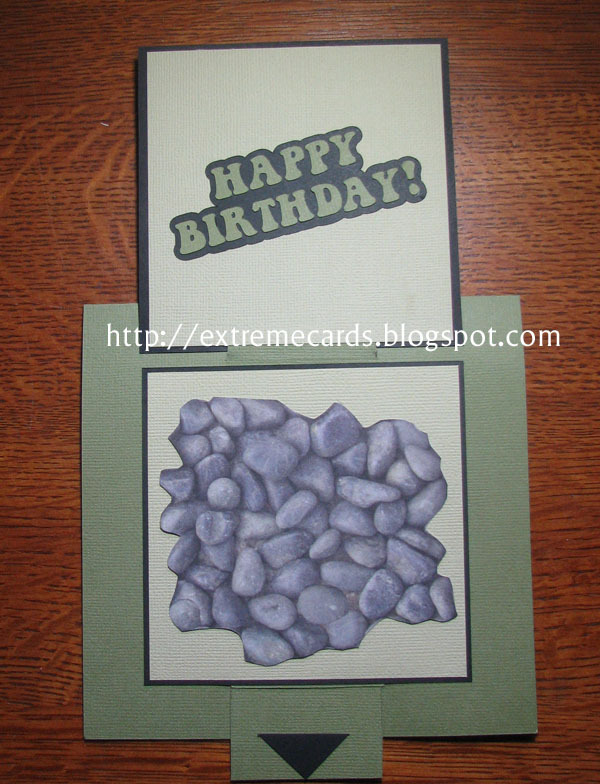 Gather your design elements for the front and inside of the card. The size is really up to you. The inside piece needs to fit between the slots. You will want your front piece to be just a tiny bit larger than your inside pieces, so that the front flap covers the inside completely when the card is closed. 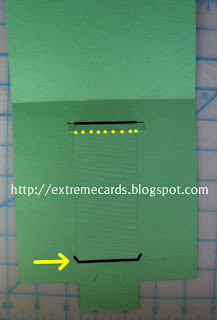 Glue the card front to the front of the pull tab, leaving a little space between the top of the card front and the slot so it can swing open properly. 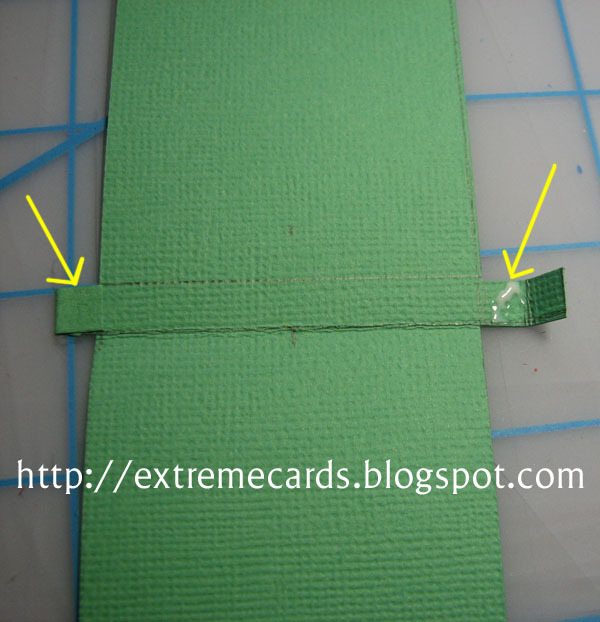 Glue a backing to the back side of the card front (shown here as light green). 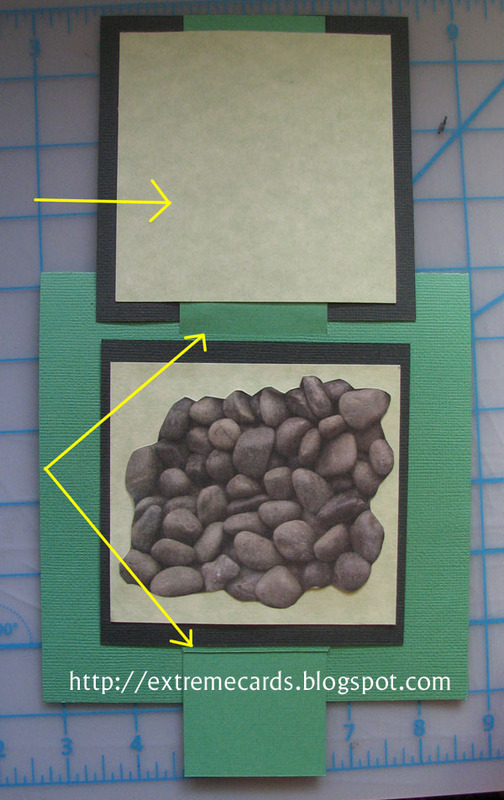 Check that your inside piece (the rocks with a black border) fits comfortably between the slots. 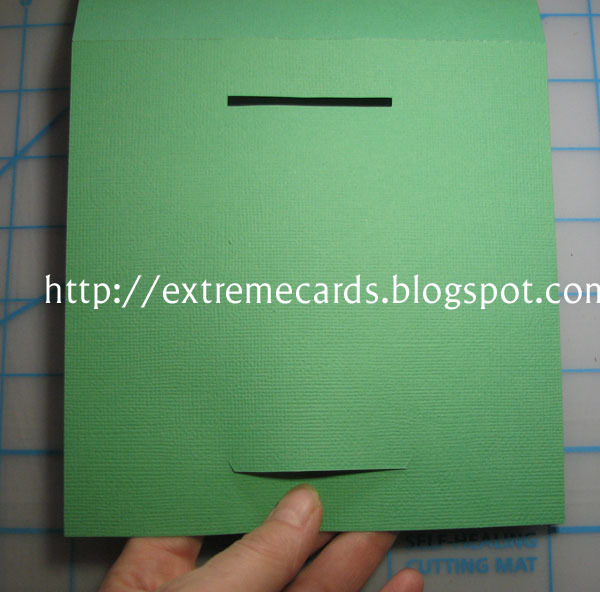 Glue the inside piece to the inside of the card. 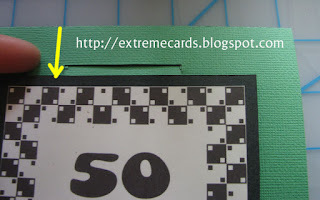 Return the card to closed position. 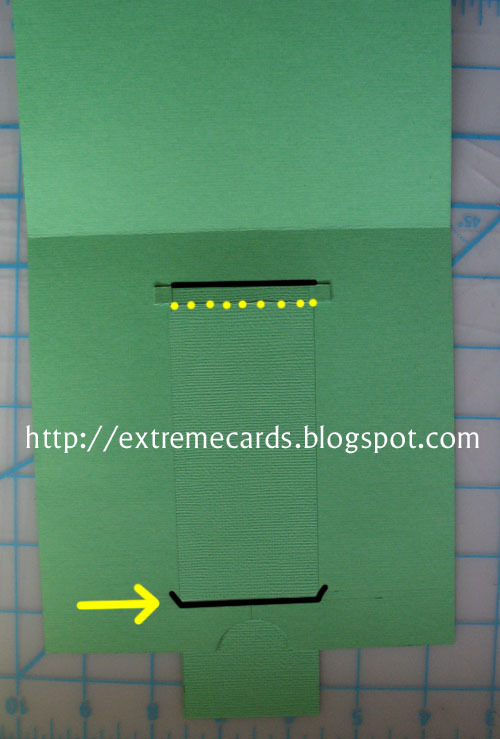 Trim the remaining piece of the pull tab even with the bottom of the card. Add an arrow if you like.